This week, the Brooklyn Bar located at the highest altitude in the world was opened. This observation came up when everyone was talking about Genting being the highest point in West Malaysia, where a bar this size could possibly be established. The first Brooklyn outlet in South East Asia, located in the High Line Roof Top Market at SkyAvenue, is an initiative by Dato’ Edward Holloway, the Executive Vice President of Leisure and Hospitality of Resorts World Genting. Dato’ Holloway was tasked to create Genting’s own food and bar hotspot, a place where people can gather to eat, drink and be entertained, just like in every famous city (think Lan Kwai Fong to Hong Kong). He paid a visit to the city he spent a lot of time in, New York, where a 3.75km long public park, The High Line, gave shape to his idea. In order to maintain the diversity that SkyAvenue has to offer whilst creating a top destination in South East Asia for millennials “who have been there, done that”, Dato’ Holloway made the space a market place for hanging out. It offers all kinds of wines and spirits with fresh produce that are prepared on order, all complementing the other restaurants at SkyAvenue. 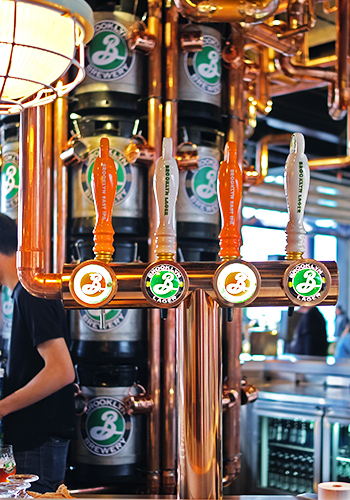 Carlsberg has been a long-term partner to Genting, and when Dato’ Holloway found out that they were bringing in Brooklyn Beer, taking the partnership to another level was a no-brainer. The outlet’s concept is inspired by an industrial infrastructure with a historically busy railway line in New York, including shipping containers, metal pipes, industrial pallets, oil drums, and a train station clock tower. 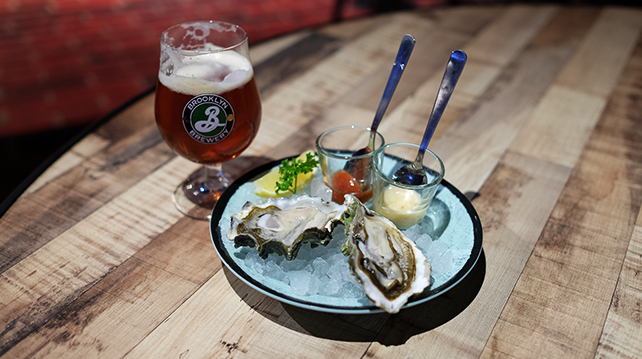 The Brooklyn outlet was launched on 19th November 2018 with the presence of Dato’ Holloway himself, Managing Director of Carlsberg Lars Lehmann and President of Brooklyn Brewery, Robin Ottaway. There are performances daily at High Line and one-for-one during their happy hour. Address: Level 4, SkyAvenue, Resorts World Genting, 69000 Kuala Lumpur, Malaysia.